An Angus Reid poll suggests that supporters for the TPP in Canada has been eroding for the last several months, dipping to its lowes level since August of 2015. Persistently, almost half of Canadians don’t have an opinion on the agreement. The drop in support may be thanks to increased uncertainty. 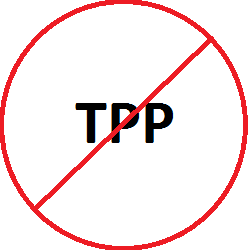 As of now, more people than ever are apparently unsure about what the TPP is really about. Now, 49% apparently say they are unsure. Meanwhile, opposition has stayed steady at roughly 20%. The trend will no doubt be bad news for proponents of the agreement because a loss in support means that the social license to ratify the agreement is dwindling. Even if people are simply growing less sure about the agreement, it might suggest that opposing views are, at the very least, trickling in to more Canadians about the agreement. Support for Canada joining the TPP stood at 32 per cent in the poll, with 20 per cent of respondents saying they opposed joining the deal. But that still left 49 per cent of Canadians without an opinion. These numbers have been holding steady for some time, with the Angus Reid Institute finding the number of people unsure of what they think of the TPP ranging from 44 to 49 per cent since first polling on the subject last year. Support has also held steady since September at around one-in-three, but that is a steep decline from the 41 per cent who said they supported the TPP in April, when negotiations were still underway. At the very least, no one is disputing that nearly half of Canadians being unsure is a large share of the pie. For the most part, one can look at the numbers and say that both proponents and opponents of the agreement have a lot of room to grow support for their side of the debate in this country. A lot of minds can be changed for the time being either way.